Koko The Gorilla Dies; Redrew The Lines Of Animal-Human Communication Koko fascinated and elated millions of people with her facility for language and her ability to interact with humans. She also gave people a glimpse of her emotions. Koko, the gorilla who became an ambassador to the human world through her ability to communicate, has died. She's seen here at age 4, telling psychologist Francine "Penny" Patterson (left) that she is hungry. 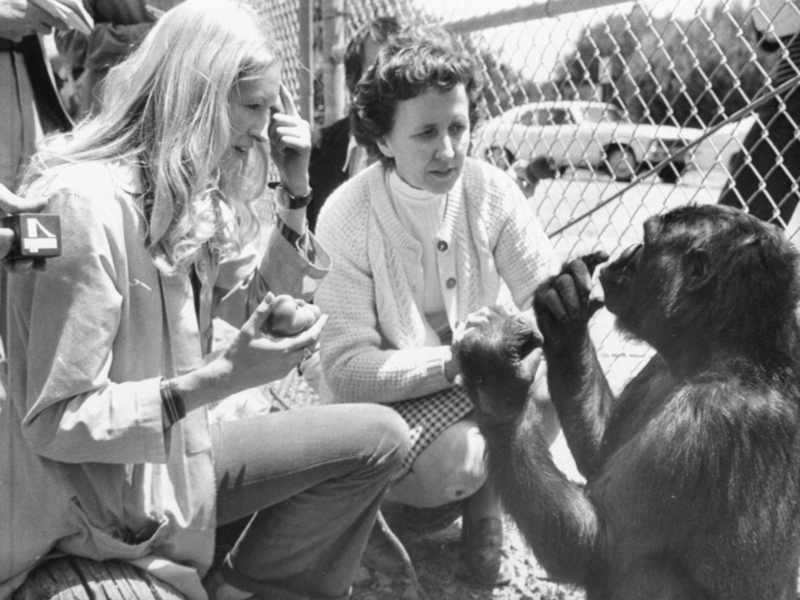 In the center is June Monroe, an interpreter for the deaf at St. Luke's Church, who helped teach Koko.